When it comes to shredding your organization’s sensitive files, you have two options: perform the work in-house or hire a shredder to stop by and shred your files for you (renting an industrial shredding for an hour or so). 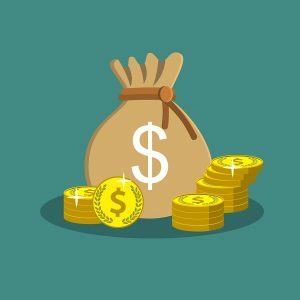 Smaller companies that don’t have many employees and don’t keep track of customer information can typically get by with purchasing an office shredder, but as your company grows it’s important to conduct a cost-benefit analysis to determine if purchasing a shredder is better for your business than renting one. Federal and state laws require all organizations to protect confidential and personal information from unauthorized access and disclosure. If you don’t have authorized employees shredding your documents, you’re putting your organization in a precarious situation. 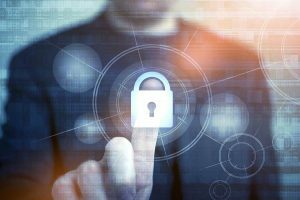 Statistics vary, but it is widely accepted that a large percentage of data breaches stem from internal employees—whether this is malicious insiders looking for retribution or a quick buck, or simple accidents due to carelessness. If you assign shredding duties to an existing employee they will often see it as a low priority, and hiring an internal employee whose primary focus is shredding is expensive. Renting a mobile shredder (the equipment and the trained, certified employee) ensures the shredding is done properly. If you aren’t willing to ensure the integrity of the shredding process, you may as well not shred at all, and using a rented shredder operated by a professional is the best way to ensure the shredding is done right. 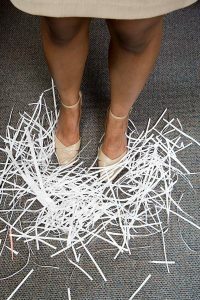 Consider the hourly rate of the employee doing the shredding. Even if you use your lowest paid employee who does a minimal amount of shredding, the odds are that over the course of the month you’re paying close to—or more than—the cost of one trip from a mobile shredding truck. Consider the cost of ongoing maintenance and replacement shredders. Regular shredding causes wear and tear—you will need to regularly lubricate the shredders teeth and purchase replacement parts (or even the entire machine) as the shredder starts to degrade overtime. Consider the cost of time. If you purchase a cheaper office shredder to save money upfront it will handle fewer sheets of paper at a time and overheat quickly, forcing pauses and breaks in the shredding process. Industrial shredders can easily devour hundreds of pounds of paper per hour so the shredding process is quick, easy, and effective. Individually these costs may not seem very high, but over the course of a year they add up. If you are assigned to find a shredder who provides the services you need at a reasonable price it might sound like a tough assignment and make shredding yourself sound like an appealing option. While the initial freedom of purchasing a shredder, placing it in your office, and washing your hands of the situation may seem like an efficient way to handle your shredding needs, overtime you might find shredding your documents yourself to be a pain. You will have to find a way to safely store expired documents until you have time to shred them. You will have to deal with loud noise of the shredder during every use. Shredders can get messy, so depending on how much paper you have to shred you might have to bring out a vacuum after each use. And if you want to recycle the shredded paper, most recycling facilities don’t accept loose paper bits from individual businesses. When you rent a mobile shred truck the shredding company will supply you with locked bins to store your files in, they will park in front of your office, pick up the bins, carry them out the mobile shredder, dump the contents for you, and return the empty bins to be refilled over time until their next visit. All while you carry on with normal business activities. Shred Nations partners with hundreds of trusted shredding partners across the country. Call us at (800) 747-3365 or fill out the form on the right for free quotes from shredding professionals near you. We will help you find a shredding professional that can handle your needs for a fair price. From renting a mobile shredder to driving to the nearest shredding center to drop off documents for secure shredding—we’ve got it covered.